Spring Series – Session 6: Natural Camouflage, Tracking, and Stalking Created especially for children (ages 10-14) who are eager to delve into the exciting world of primitive living skills, this series will give participants a well-rounded breadth of experience in primitive living skills for all seasons. You may enroll for multiple sessions at a discounted rate, or for single sessions (space permitting). 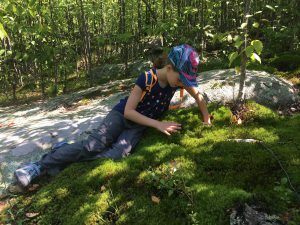 Visit our Primitive Living Skills page for more details and to enroll. 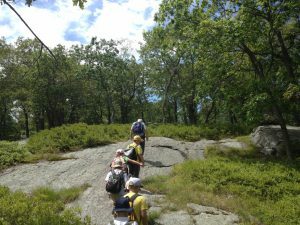 Join Nature Place trip leaders for a fun, family-friendly excursion in our favorite stomping grounds--Harriman State Park. 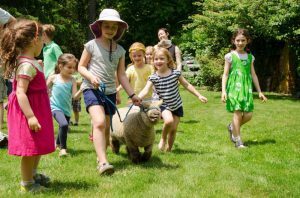 Explore all that Spring in the park has to offer, meet other outdoor-loving families, learn about local plants and animals, get in some good exercise in the fresh air, and enjoy your packed lunch with a beautiful view. 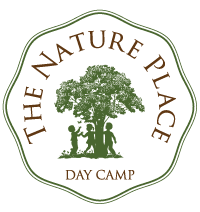 Email camp@thenatureplace.com to RSVP and we’ll provide you with further details, including meet-up location. Spring Series – Session 7: Harvesting and Processing Spring Plants for Survival Created especially for children (ages 10-14) who are eager to delve into the exciting world of primitive living skills, this series will give participants a well-rounded breadth of experience in primitive living skills for all seasons. You may enroll for multiple sessions at a discounted rate, or for single sessions (space permitting). Visit our Primitive Living Skills page for more details and to enroll. Spring Series – Session 8: Cookout: Open Fire Cooking and Techniques for Cooking Outdoors Created especially for children (ages 10-14) who are eager to delve into the exciting world of primitive living skills, this series will give participants a well-rounded breadth of experience in primitive living skills for all seasons. You may enroll for multiple sessions at a discounted rate, or for single sessions (space permitting). Visit our Primitive Living Skills page for more details and to enroll.